>As I search for the thoughts I wish to share in today’s column, I’m challenged to write something that matters. I’ve always felt that everything I do has to have some purpose. Perhaps I’m naive, but I would like to think that everyone who shares his or her opinion in a column like this does so with the belief that that opinion serves some greater purpose—that it somehow matters what they say, and is really helping others. In other words: Identity, Purpose and Survival. The order of importance of these questions in your life varies depending on your current situation. For many people, basic survival is so much at the forefront of daily life, that there is little opportunity to indulge exploration of the other questions. With that as a starting point, it would seem appropriate that anything we do with the stated purpose of helping others should help them answer those questions. Don’t you think? Everything else would be mere distraction. As I was listening to "the news" last week, I learned that the day’s top stories included the war in Iraq, Lewis Libby’s sentencing, and Paris Hilton’s court case. It struck me that we’ve all been forced, and have therefore come to accept what others have decided "news" should be. Coming as it does every hour on the hour, the repetitious nature of "the news" has tremendous impact on one’s thoughts, moods, beliefs and expectations. In fact, it’s probably the single most important factor in shaping public thought, mood, belief and expectation, and explains why any government intent on shaping the minds and moods of the masses makes sure they control "the news" that is released to the population. That, along with the ads on television and radio, create a distorted perception of "Who I am, Why I am here, and How I shall survive." For the most part, our current concept of news breeds a fear-based concept of the world and our place in it, avoids serious discussions of one’s real purpose, focuses on the negative and salacious, and encourages the development of only the rudimentary tools of survival (i.e., working for someone else). So, if this thing we call news is so important as to be offered every hour on the hour on radio, at least three times per day on television, and fill the pages of newspapers, and magazines, shouldn’t it be answering at least one of the three most important questions every human is asking? In other words, if it’s not helping me to form an identity, find my purpose, or aid my survival, what role is this thing we call "news" playing in my life? Simply distraction? Something to think about, perhaps. Of course, there’s nothing inherently wrong with distraction. Entertainment in various forms serves an important purpose. However, without intending to minimize the personal significance of a judge’s decision to her and her immediate family, the outcome of Paris Hilton’s court case does not answer any significant question in my life. Who am I? 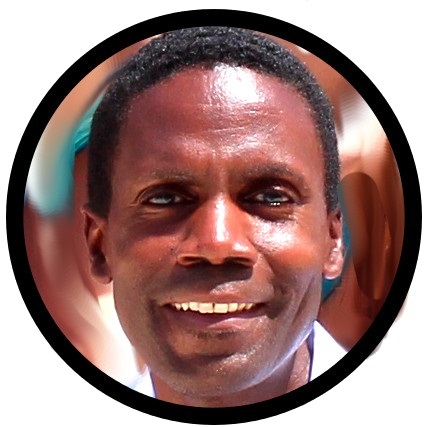 At times in this column, I offer insights into the true nature of reality, the power of thoughts and words in shaping that reality, our place in the universe, and concepts which mold the understanding the spiritual component of one’s being in the search for one’s identity. Why am I here? At other times I offer encouragement to seek first one’s purpose (i.e., as creator, savior, guru or guide) as a starting point in the journey of turning one’s passion into profit. How shall I survive? At other times I offer specific information, inspiration and ideas of ways to generate income in the interest of economic survival. In an effort to address the issue of economic survival on a national level, I’ve recently introduced something called The New Saipan Agenda—a philosophy that encourages establishing viable businesses and industries within the CNMI which respect The 10 Commandments of Paradise*. As part of that Agenda, the New Saipan ActionTank (an evolution of the think tank) is committed to help realize that philosophy. The ActionTank is about action in the face of change. For those who are frightened by the concept of change, keep in mind that in life, change is sometimes beyond your control. What you can control, however, are your reactions and responses to the change. The New Saipan ActionTank, therefore, is not here to change things. It is here to help with the transition given that change is already occurring. So, when we speak of change below, we are speaking about the response that we choose. CAMI-CNMI (Coalition on the Anti-Stigmas of Mental Illness in the CNMI) concerned about the stigma associated with mental illness decided to envision, spark, lead a change in thinking and action that they too document on their website (www.beyondbehaviors.com & www.cami-cnmi.blogspot.com). SAVE (Student Action for a Viable Environment), led by students and teachers at Hopwood Jr. High who were concerned about Saipan’s environment and the value of our young people’s input in addressing this issue, are mobilizing and empowering students to envision, spark, lead and document their response (www.greencnmi.blogspot.com). Yes, the correct response to change is action. Complaining, assigning blame or finding scapegoats doesn’t serve the greater good. In my own efforts, rather than complain about the existence of negative websites which cast a pall over Saipan’s image, I started a (weloveSaipan.com) site which now ranks #9 on a Google search for "Saipan," and offers alternate opinions on life on Saipan. Rather than assigning blame for the relative absence of certain food choices for a health-conscious lifestyle, I started a Food Co-operative (www.pacificislandfoodcoop.org) that is helping a growing number of members here and on Rota order healthy items online from the comfort of their homes. Rather than lament the need for more internationally-focused entrepreneurial thought and action, I started the Saipanpreneur Project (www.saipanpreneur.com) which is helping a few entrepreneurs market their goods beyond Saipan’s shores. And, as I’m discovering, there are people already starting businesses and adopting lifestyles that respect the 10 Commandments of Paradise. 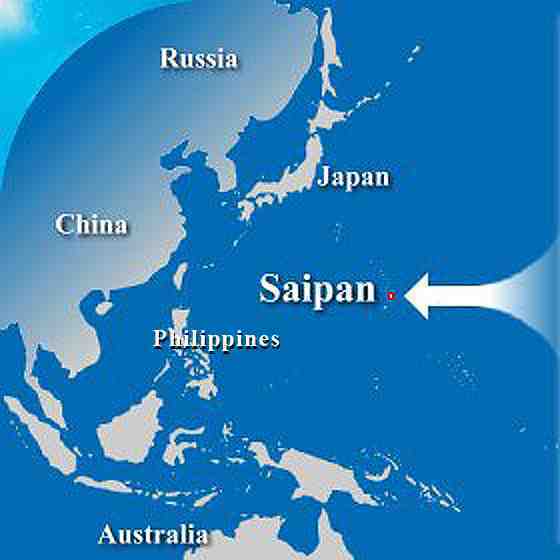 Over the next few months, the NewSaipan ThinkTank will endeavor to envision, spark, lead and document such responses to help expose this New Saipan which is taking shape. I will share these with you in my column and on the newsaipan.com website. It is my desire that being informed of these efforts will encourage others to change their dialogue, consider other options for responding to change, follow suit, and add to the momentum that is already building. And that, my friends, when all is said and done, will be good news. Stay tuned.